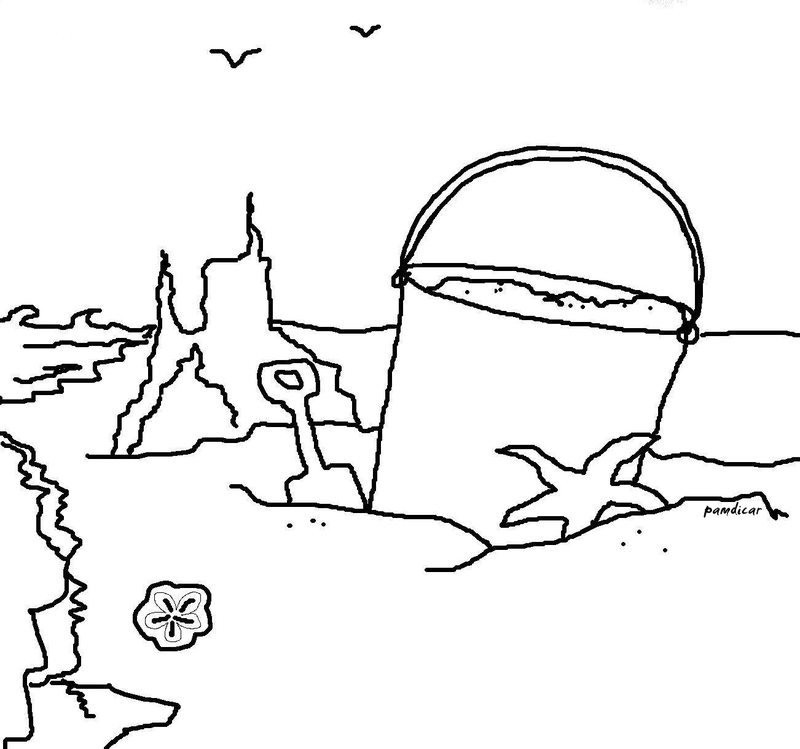 Print out this free coloring page depicting a pail and shovel at the ocean shore. A “drippy” sand castle in the background and small starfish and sand dollar also decorate the page. 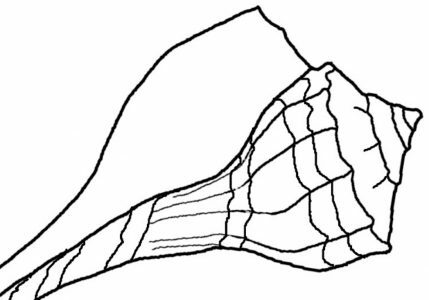 This drawing is free to use as long as it is not sold. If you have never made a drippy sand castle, I’ll tell you that it’s lots of fun. I believe it works best on beaches where the sand is very fine and they must be made near the water where there is a good mix for some nice dripping action. They are easy to make in Florida. Grab a bunch of wet sand and let is slowly drip out of your hand through your fingers. As each blog hits it will “melt” into a rounded blob and dry into its shape almost immediately making a drip. Make the drips smaller as you add height to the tower and see how high you can build it. This blog shows some drippy sand castles.